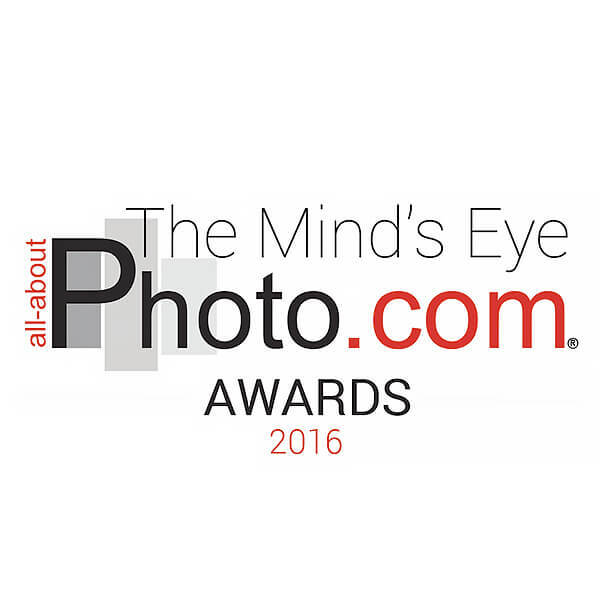 The winning images of the first annual juried photography awards hosted by All About Photo will be exhibited at the Jules Maeght Gallery in San Francisco May 17th - May 28th, 2016! The ten international jurors (Julia Fullerton-Batten, Sandrine Hermand-Grisel, Frank Horvat, Ann Jastrab, Ed Kashi, Jules Maeght, Klavdij Sluban, Keiichi Tahara, Ami Vitale, and Cara Weston) viewed and scored nearly 5,000 images for this inaugural competition. As one of the jurors, I was overwhelmed not only by the number of submissions, but also by the quality of the submissions. There were so many dynamic images from around the world that it was difficult to choose only 5 for top honors. The grand prize winner is Julien Chatelin from France with his image from the Israel Borderline series. Between 2004 and 2006, Chatelin set forth to create a visual fresco of Israeli society which was published in 2008 in a 160-page monograph. This essay explores through the prism of the young people, the diversity, and complexity of an increasingly divided society. 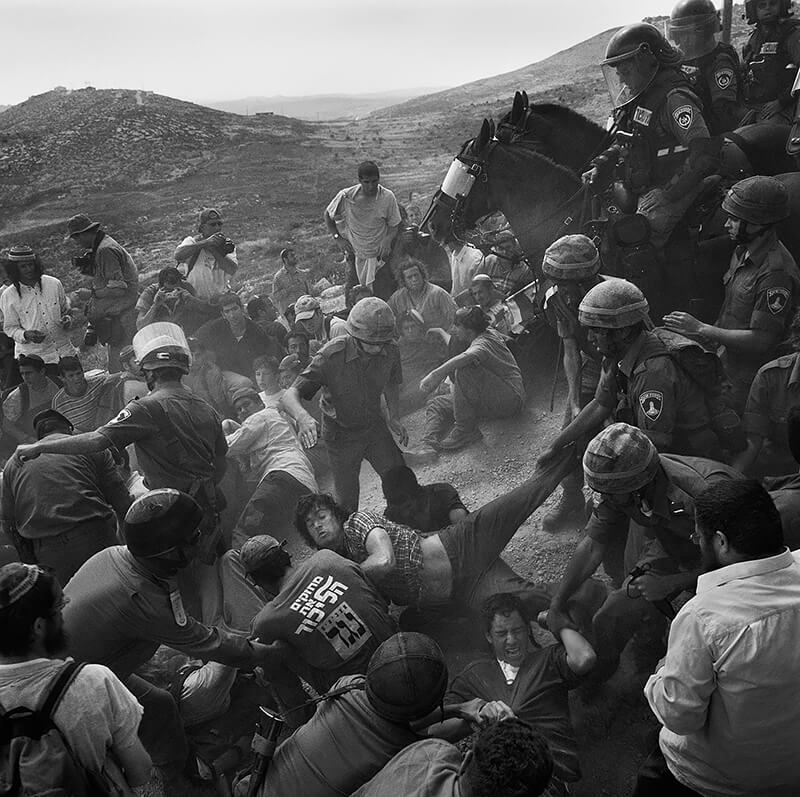 This picture, taken in May 2004, represents the evacuation of an Illegal outpost near the west bank settlement of Mitzpe Yitzhar. The outpost consisted of a single house, but when settlers were informed about the imminent application of the court order, thousands of ''hill youth'' came from all over the West Bank to try to stop the bulldozer from reaching the site. For about six hours the settlers opposed the border police and attempted to stop the bulldozer by lying in front of it. Although the tension was quite high at times, the violence remained contained, as the stakes were merely symbolic. Eventually the brick house was destroyed, and rebuilt the next day. The second place winner, Jackson Patterson, is an artist who was a long time San Francisco resident and graduate of the San Francisco Art Institute who recently relocated to the Midwest. 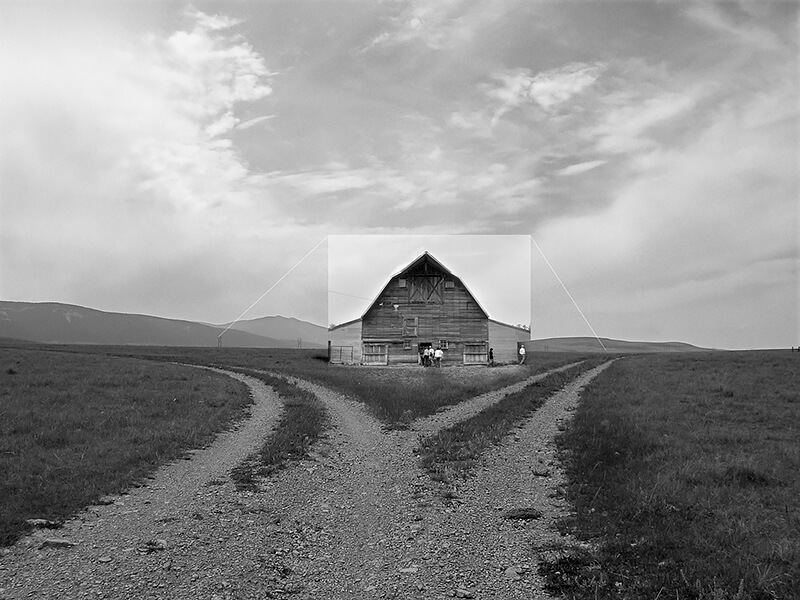 Through photomontage Patterson explores the narrative that emerges between subject, space and time. The work embodies various photographs that he has taken merged with others from his family's albums. Each blended piece possesses its own original story, in addition to insights about representation, fabrication, and visual language. They are stories of perseverance, pride, struggle, life and death. They are human stories intertwined in a majestic landscape. Third place winner is Teri Haven who lives in Colorado. 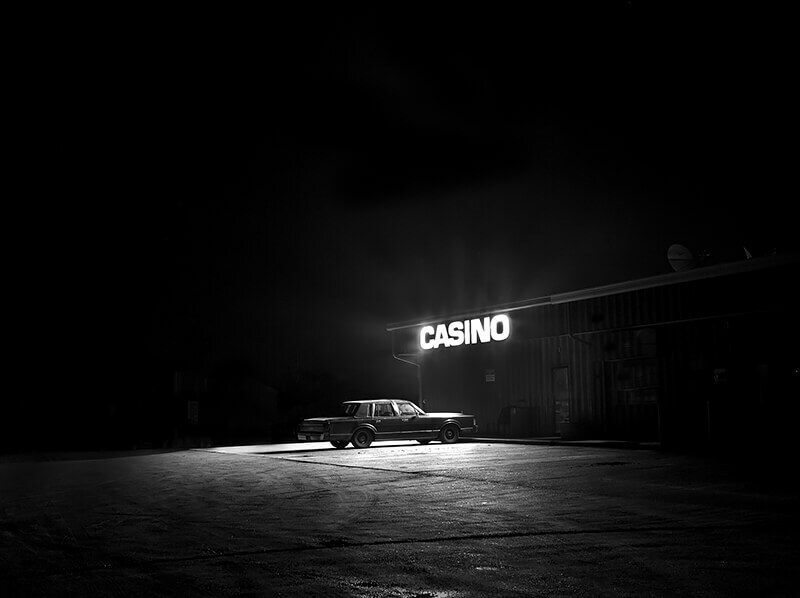 Her photograph is from her long term project, Last Light and shows a lonely car parked outside a forsaken casino on the edge of town in the middle of nowhere in Montana. 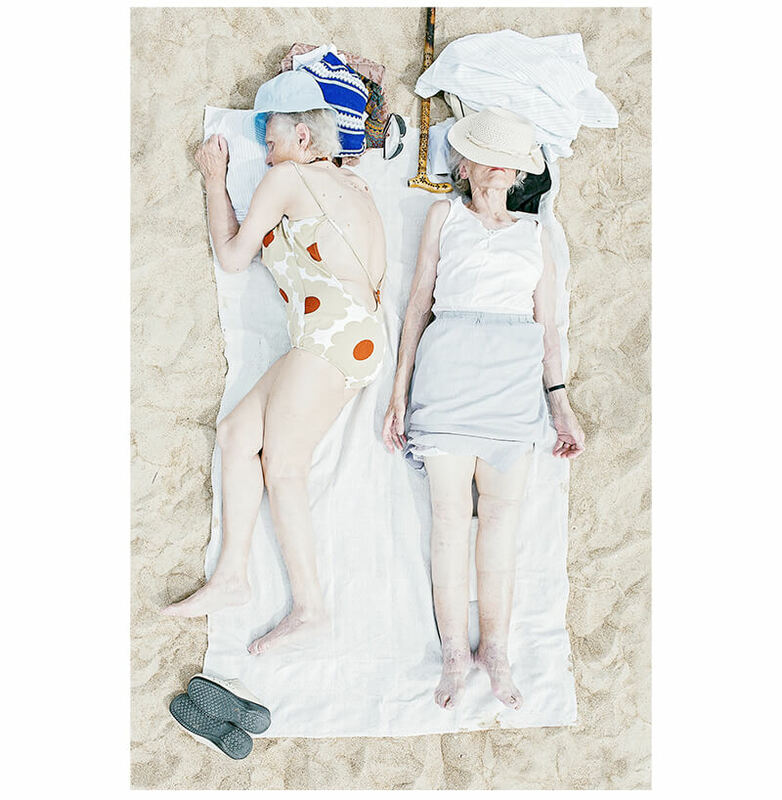 Tadao Cern from Lithuania earned fourth place with an image from his series, Comfort Zone featuring unique beach sunbathers. 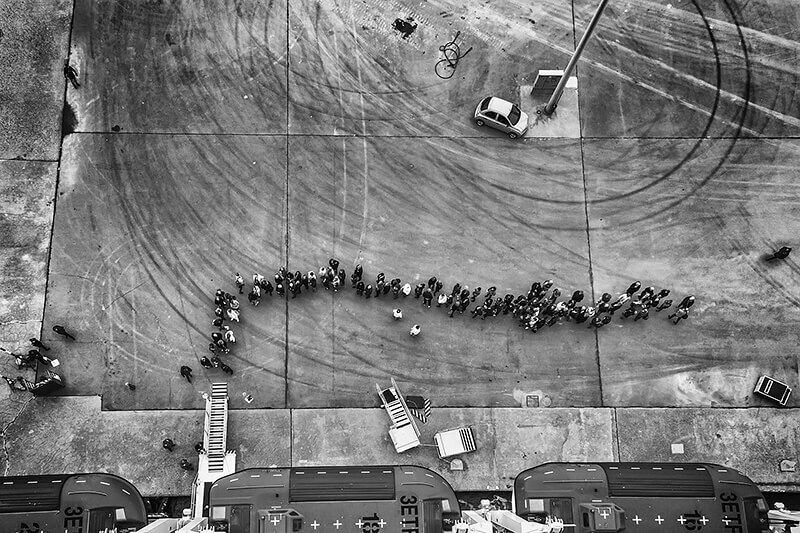 Simona Bonanno from Italy won fifth place with her photograph from her ongoing series, Aboard: a visual journey which witnesses the fascinating anonymity of passengers and crew members living on the temporary small, brilliant cities on the sea that are the cruise ships. The Jules Maeght Gallery will be exhibiting these 5 award winning photographs along with monitors* playing many of the highest scoring pictures from the jurors' merit gallery. Come view these powerful photographs for yourself at the opening reception on May 19th. The show will be opening concurrently with the gallery's exhibition Signed and Numbered. The Jules Maeght Gallery is a contemporary art gallery who seeks to engage the San Francisco community by infusing European artists, young and established alike, into a diverse, multimedia dialogue. Amélie and Jules Maeght carry on the Maeght tradition of strong support for contemporary art. The gallery presents exhibitions ranging from group shows based on conceptual similarities to more intimate shows that encourage artists to play off each other's styles. The gallery also offers a selection of original editions ranging from Masters such as Miró to young artists. Jules Maeght Gallery follows in the tradition of the Galerie Maeght in Paris, which first opened its doors in 1945 with an exhibit of drawings by Matisse. The gallery, ran by Aimé and Marguerite Maeght, quickly became an epicenter for modernist artists and writers. The Maeghts had a skill for nurturing and promoting new art and artists which secured their position as respected and influential advocates for art of their time. From 1946 onwards, such artists as Bonnard, Braque, Calder, Giacometti, Léger became part of the gallery. In 1964, Aimé and Marguerite established the Maeght Foundation in St. Paul de Vence, the first of its kind in Europe. *The monitors are generously provided by Daylighted. Founded by co-owners Alex Cammarano and Elisabeth Mouchy, San Francisco-based Daylighted is igniting the traditional art world by intertwining art and technology. Daylighted's SmArtGallery, the next generation digital canvas, brings together artists, venues and burgeoning art lovers to discover and purchase art. Featuring a collection of more than 10,000 contemporary works in various mediums by more than 300 emerging and mid-level artists, Daylighted works one-on-one with hospitality-based venues to curate personalized digital art collections for public display. For more information about Daylighted, visit www.daylighted.com or contact them at 415-995-5705 or info@daylighted.com.